Franklin Performing Arts Company (FPAC) presents The Mikado at 8 p.m. on Thursday, July 27 and Friday, July 28 on Franklin Town Common. The popular comic opera, with music by Sir Arthur Sullivan and libretto by W.S. Gilbert, was first performed in 1885 and is their ninth of 14 operatic collaborations. With sharp wit and timeless music, the legendary classic satirizes British society and bureaucracy, its politics and institutions. The Mikado will be featured as part of the 3rd Annual Franklin Cultural Festival, hosted by the Franklin Cultural District Committee. The visual, performing and culinary arts celebration will take place July 26-30 at various downtown Franklin locations within the proposed Cultural District. Events are offered to the public free of charge. FPAC will also present a 24 Hour Play production on Saturday, July 29 at 8 p.m. at THE BLACK BOX, the company’s home and performance venue located at 15 West Central Street in downtown Franklin. For this theatrical experience, the cast will create, stage, and perform an original show in 24 hours. Rehearsal will begin at 10 p.m. on July 28th, following the final performance of The Mikado. There are no auditions to participate; please call (508) 528-3370 to sign up. FPAC presents The Mikado and the 24 Hour Play as part of the company’s 10th anniversary Whatever Theater Festival, featured this summer within the Franklin Cultural Festival. Conceived and directed by Nick Paone, the Whatever Theater Festival brings together professional artists, FPAC alumni, students, and community performers in a collaborative theatrical experience that showcases an exciting range of dramatic and comedic works. FPAC’s 2017 Whatever Theater Festival is sponsored in part by grants from Foxborough, Norfolk, North Attleborough, and Wrentham Cultural Councils, local agencies that are supported by the Massachusetts Cultural Council, a state agency. For more information, call (508) 528-3370 or visit www.FPAConline.com. Following a two-and-a-half week summer concert tour of England, France, Italy and Switzerland, Electric Youth (EY) will perform a free outdoor concert on Wednesday, July 26, at 6 p.m. on Franklin Town Common. The concert will open the third annual Franklin Cultural Festival, hosted by the Franklin Cultural District Committee. Backed by an eight-piece band of world-class musicians, Electric Youth delivers a fun, high-energy show of family entertainment with an extensive range of pop, classic rock, swing, contemporary Broadway and country music for audiences all ages. The EY singer-dancers are backed by Boston musicians who’ve performed, recorded and toured with music legends including Tony Bennett, Aretha Franklin, Dizzy Gillespie, Alicia Keys, B.B. King, Diana Ross, The Temptations, Van Morrison and many others. 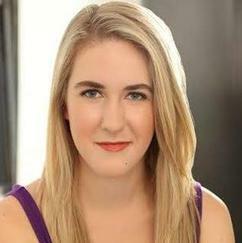 Raye Lynn Mercer and Hallie Wetzell are Electric Youth’s Director and Vocal Director, respectively. Choreographers include Mercer, Casey Andrade, Cheryl Madeux, Nick Paone and Kellie Stamp. 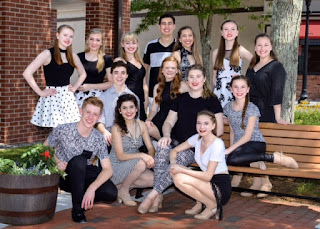 Selected annually by audition, the group is chosen for superior musicianship, stage presence, and “triple threat” accomplishments in voice, dance, and acting. This season’s ensemble of performers, ages 15-18, studies multiple dance disciplines, voice and acting at the Franklin School for the Performing Arts. Electric Youth 2017 includes Julia Buccella, Brooke Collins, Aaron Frongillo, Sydney Leach, Caitlin Woodcock and Melissa Wyner of Franklin; Caroline Merten of Hopedale; Sam Evans and Colie Vancura of Medfield; Katie Gray of Milford; Naomi Fitzgerald, Mairead Nee and Griffin Wilkins of Walpole; and Susauna Wickstrom of Wrentham. Electric Youth’s 2017 European tour featured several concerts along the coast of Normandy, including shows in Barfleur, Cherbourg and the historic D-Day site of Sainte-Mère-Église. The itinerary also marked the group’s debut in Switzerland with a concert in Zermatt. Venues in England included Wimbourne’s Tivoli Theatre, along with performances in Arundel, Chichester and Hastings. EY also returned to Lake Como, following performances there last summer, to deliver two lakeside shows at the Hotel Britannia. Electric Youth has released six professional albums and toured Europe 13 times, with performances at England’s Arundel Festival, Disneyland Paris, professional theaters in Bristol, London and Windsor, and such renowned venues as Sanremo’s Ariston Theatre and Vienna’s Konzerthaus, Musikverein and Schonbrunn Palace. EY has also headlined Fourth of July shows for U.S. troops and their families stationed in Italy at Camp Ederle, Camp Darby and Aviano Air Force Base. The ensemble has performed on Royal Caribbean’s Oasis of the Seas, on Fox-TV and WBZ Radio, and at Fenway Park, Gillette Stadium, Mechanics Hall, the Smithsonian Museum Theater, the United Nations and the American Embassy in Rome. EY’s music, including the 2014 album Power Chord, is available at amazon.com and iTunes. The EY summer concert on the common will also feature a performance by Future Shock, a select children’s ensemble of students ages 6-13. For more information about Electric Youth, visit www.electricyouth.com. To learn more about the Franklin School for the Performing Arts, call (508) 528-8668 or visit www.FSPAonline.com. The Franklin Town Council will hold a public hearing on June 28, 2017 at 7:10 p.m. in the Town Council Chambers of the Franklin Municipal Building, 355 East Central Street, so residents, businesses and interested parties can learn about and comment on the proposed Franklin Cultural District and related goals. Art and culture related organizations and the general public are invited to attend and provide input. Information about the proposed Franklin Cultural District can be obtained by contacting Dept of Planning and Community Development (DPCD) at 508-520-4907 or at the Town of Franklin website www.franklimna.gov. 2. Approve of the town staff forwarding our application to the state for approval. These resolutions are required by the state. Pub, the Little Shop of Olive Oils, Dharani Grill and more. Additionally, the many cultural events have been seeing increased participation and this district will help to promote and market these events to a wider audience. Finally, with the library renovation and expansion project opening in the Fall, we believe there are additional opportunities to offer new attractions, such as the Benjamin Franklin exhibits, to a wider audience where people can also eat and shop in Franklin. This is the right time to have some additional public relations for the downtown. ● Help foster additional investment in the arts and culture communities in town. Our Theatre Institute actors age 15-22 invite you to take a journey with them Into the Woods. Sondheim’s musical brings to life all your favorite fairy tale characters like Cinderella, Jack and the Beanstalk, Little Red Riding Hood and others as they set off to make their wishes come true. What inner strengths will they discover during the exciting journey? This is a thrilling story! All ages will enjoy the show. Give yourself a late spring night out or a matinee on Saturday and join families from around the region. 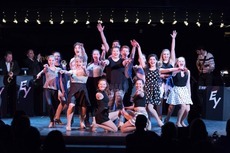 You’re sure to be impressed by the lengths the young adults go to, pushing themselves to achieve milestones in their pursuit of theatre excellence: singing, acting, and stage production. We are thrilled to share this wonderful story with you. 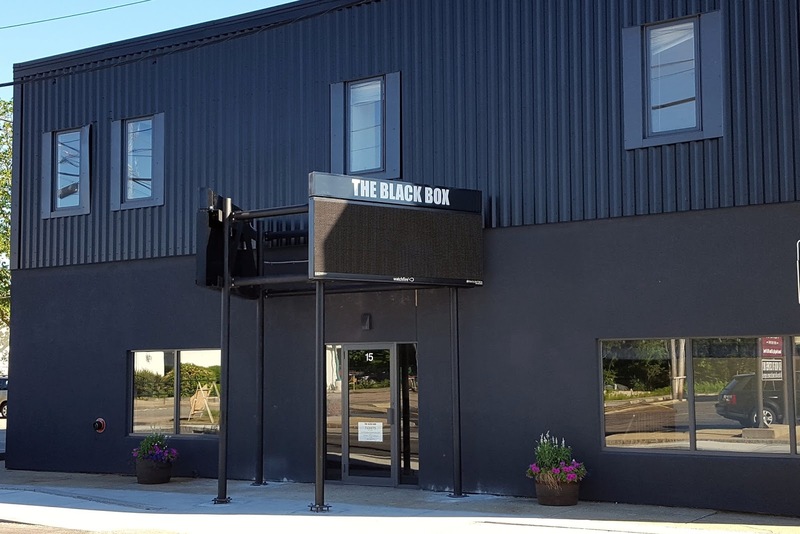 THE BLACK BOX, downtown Franklin’s theater, music, and event venue, presents two evenings of great jazz to kick off the second annual Summer Concert Series. 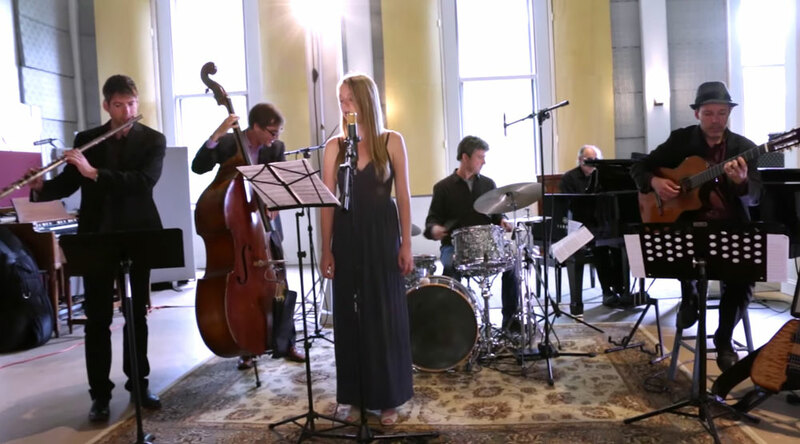 Beginning on Friday, July 7 at 8 p.m., “Jazz in July” at THE BLACK BOX features Steven Kirby’s “Illuminations” Project with special guest, vocalist Aubrey Johnson. Steven Kirby is an award-winning guitarist/composer and Associate Professor at Berklee College of Music. He has appeared on more than 25 released recordings and toured in the U.S., Canada, the UK, Caribbean, Europe, China and Arica. Kirby’s music is most often categorized as contemporary jazz, but it is influenced by a variety of genres. His compositions have won awards in the International Songwriting Competition, Billboard Song Contest and DownBeat, and his music has been played on over 100 radio stations in this country and internationally. The “Illuminations” Project is Kirby’s newest compositional and performance endeavor. Described as “richly textured, multi-layered, ebullient and lyrical jazz,” it showcases original compositions and arrangements, as well as some creative arrangements of standard tunes, using a quintet of instrumentalists and a singer performing both wordless and lyrical vocals. “Illuminations” was recently an Editor’s Pick in the prestigious jazz publication, DownBeat. THE BLACK BOX Summer Concert Series continues on Friday, July 21 at 8 p.m. with the renowned Kenny Hadley Big Band. The critically acclaimed 16-piece ensemble, led by drummer Kenny Hadley, boasts masterful musicians with performance ties to Big Band legends Woody Herman, Count Basie, Stan Kenton, Maynard Ferguson, Buddy Rich and more. The Kenny Hadley Big Band has shared the stage with such notables as the Count Basie Orchestra and the Duke Ellington Orchestra and has hosted guest soloists including Clark Terry and Louie Bellson. Hadley was 14 when he first heard Buddy Rich’s band play live. He caught Duke Ellington at The Boston Globe Jazz Festival and saw Basie, Kenton and Ferguson, among the greats, at the tail end of that era. Forming his own band at 23, Hadley has grown that ensemble to showcase a distinguished rotation of some 45 or 50 players. Now more than 30 years later, the Kenny Hadley Big Band continues to wow audiences and keep the big band tradition alive. THE BLACK BOX, the home of the Franklin Performing Arts Company (FPAC), is located at 15 West Central Street. Tickets to “Jazz in July” summer concerts are $20 for adults and $15 for students and seniors. A cash bar is available. 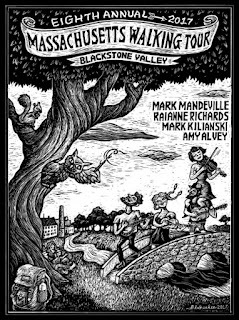 For more information, including additional Summer Concert Series event programming, or to purchase tickets, call (508) 528-3370 or visit www.THEBLACKBOXonline.com. THE BLACK BOX Dance Series presents Tributary on Wednesday, June 21 at 8 p.m. at the downtown Franklin venue. Tributary is a collective of musicians from around the U.S. dedicated to performing spiritually rich and honest music that is thoughtful, creative and improvisatory. Their concerts are about spiritual discovery through the language of art, and will be a unique experience, full of immediacy and vulnerability. 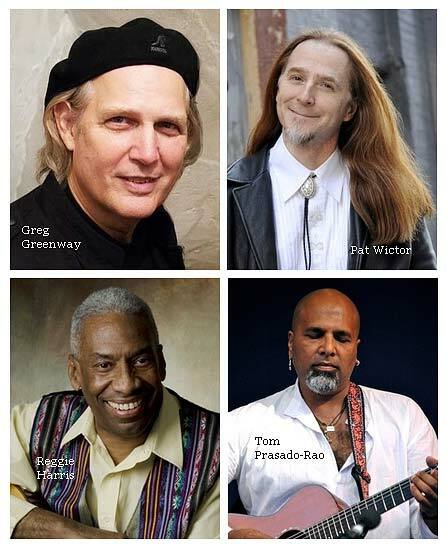 Tributary is led by Greg Woodsbie, a self-described “ritual artist” whose background in jazz, classical and Cuban music permeates his work as a highly regarded dance accompanist and church musician in the Boston/Providence area. 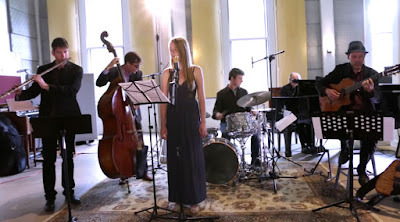 Tributary also includes Adam Meckler (Trumpet), Aaron Hedenstrom (Saxophone), Brian Courage (Bass) and Derek Dreier (percussion), featuring dancers Kristina Berger and Bill Evans. Tickets are $15. The home of the Franklin Performing Arts Company, THE BLACK BOX is located at 15 West Central Street. 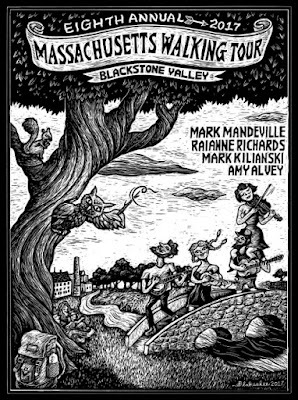 For tickets and more information, visit www.THEBLACKBOXonline.com or call (508) 528-3370. BLACK BOX Cabaret presents Not My Day Job starring Franklin natives and Franklin Performing Arts Company alums Galen Hancock and Catherine Weiss, successful young women who continue to sing while pursuing careers away from the stage. Galen and Catherine will be joined by special guests and accompanied by the ACME Rhythm Section. 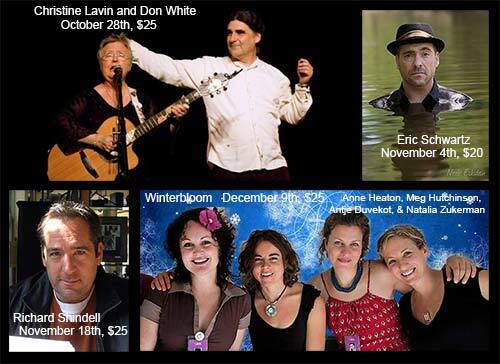 Enjoy the intimate cabaret atmosphere of THE BLACK BOX and this program showcasing a variety of musical styles. Click here to purchase tickets for this event at THE BLACK BOX! Just a reminder there is an important Cultural District meeting Thursday night June 15 at 7:00 p.m. 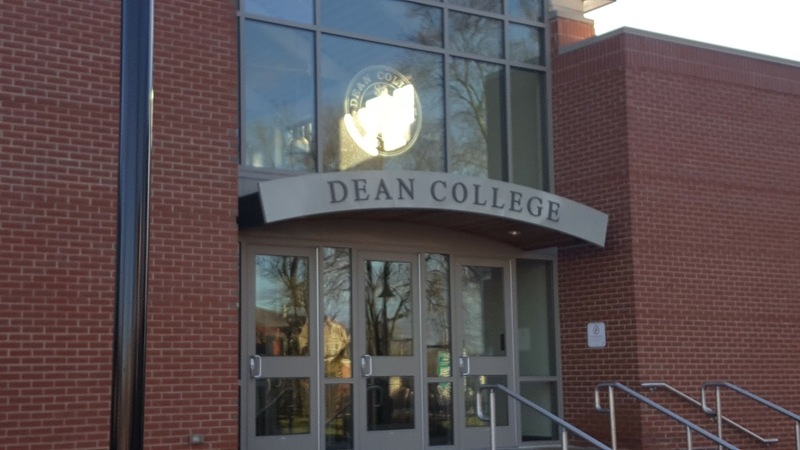 The meeting will be held in the Campanella Board Room at Dean College. The main topic of discussion will be moving along Cultural District proposal. Please bring your ideas/suggestions. It is important that all of you provide input for the application to become a Cultural District. As part of the Summer-long Bridal Gown Exhibit at the Franklin Historical Museum, we welcome the first of two guest speakers on Sunday, June 18 at 1:15PM. Maureen Taylor, known as the Photo Detective for her work solving photo mysteries, has created a special presentation to compliment the museum’s exhibit. Her exclusive Wedding Images presentation, which will include a PowerPoint, clips, accessories, as well as a few photos of dresses used in the Franklin bridal display. The presentation will review how to identify photos by revealing details such as date of clothing, accessories, poses, props and documents. Hints can also be found in flowers, handkerchiefs, corsages, ribbons, veils, gloves and top hats. Join us Sunday and Maureen Taylor, The Photo Detective will explain it all. The exhibit, which opened Thursday evening June 8th will run through the end of August. It includes 12 dresses from the Museum’s collection. Featured this year is the ever popular parachute dress from 1946; a blue trimmed Priscilla of Boston gown; the dress worn by Franklin’s own Stella Jeon, the oldest dress in the collection from 1893, and many more. The presentation by Maureen Taylor will identify fashion trends and a bit of the changing history of bridal fashions. It promises to be interesting, informative and entertaining. The Franklin Historical Museum, located at 80 West Central Street, is open Saturday mornings 10am-1pm, Sunday afternoons from 1pm-4pm and Thursday evenings from 5pm-8pm. Admission is always free and the building is wheel chair accessible. The Franklin Cultural District Steering Committee is in the final weeks of preparation for the 3rd Annual Franklin Cultural Festival. The Festival will run from Wednesday, July 26 to Saturday, July 29, 2017. The Celebration will take place in key locations in Franklin including: THE BLACK BOX (inside and outside on its stage), the Franklin Historical Museum, the Town Common, Franklin United Methodist Church, and Franklin High School. The Festival will showcase some of the artistic, musical, performance and culinary talent available in the Franklin area. The District Steering Committee is scheduled to make significant announcements during the opening ceremony. The opening ceremony is scheduled for 5:45 PM Wednesday, July 26 at the Town Common. It will be followed at 6:00 PM with a performance by FSPA’s Electric Youth. The Franklin Art Association will have sidewalk chalk art, face painting and other art activities on the Town Common beginning at 5:00 PM. Thursday’s activities will feature musical performances on the Town Common, the wedding gown display and speaker at the Franklin Historical Museum, robots at the United Methodist Church and a performance of a 24-hour Play at THE BLACK BOX. Friday’s activities will start at Franklin High School with student musical performances by the orchestra, band and choral groups. The Farmers Market will operate from noon to 6:00 on the Town Common. 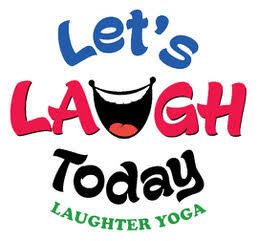 In addition, there will be musical performances and a Let's Laugh Together yoga session on the Common. On Saturday, the activities will be centered at THE BLACK BOX with Franklin Art Association art on display, performances alternating on two stages, one inside and one under the tent outside. The Circle of Friends will host the outdoor stage for several performers. The complete schedule will be posted to the Cultural Festival page. There will be a tri-fold brochure with the schedule available for download at the beginning of July. Franklin Restaurants will be selling food throughout the afternoon. The world premiere of “Call of Kairos” will take place at 8 p.m. June 9, and 2:30 and 7:30 p.m. June 10-11 at the Dean College Main Stage Theater, 105 W. Central St. The show, described as a blend of dance, theater, film and live music, was inspired by a 30-minute independent film recently produced by Spectral Unicorn, a Boston dance/film/theatre company. The film features the story of two women living very different lives in very different worlds who find each other during a time of crisis. Bring more laughter into your life by attending Let’s Laugh Today on Wednesday, June 14th (second Wednesday this month) from 7:30pm to 8:30pm at the Meetinghouse of the First Universalist Society in Franklin, 262 Chestnut Street, Franklin. Any age and any level of physical ability can participate in this uplifting experience! They do not meet in Franklin in July and August, so be sure to get your laughs in this month! BLACK BOX Cabaret presents "I Like Musicals" a cabaret featuring Ali Funkhouser and friends, accompanied by ACME Rhythm Section. In this intimate nightclub setting, enjoy an evening of musical theatre comedy and general tomfoolery with this soon-to-be Musical Theatre Senior at Oklahoma City University! The Reminisants have been entertaining audiences of all ages throughout New England since 1973. The band specializes in music from the 1950's through the 90's, playing a collection of great music for all kinds of musical tastes and generations. The band was formed in 1973 by three Waltham High School friends, Dom Viscione, Mike Joyal and Fran Doorakian, and has since expanded to the current six man group. BLACK BOX Cabaret Presents Not My Day Job! BLACK BOX Cabaret presents Not My Day Job starring Franklin natives and Franklin Performing Arts Company alums Galen Hancock and Catherine Weiss, successful young women who continue to sing while pursuing careers away from the stage. 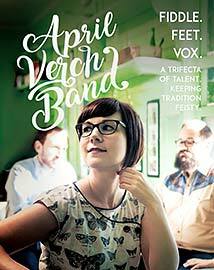 Galen and Catherine will be joined by special guests and accompanied by the ACME Rhythm Section. Enjoy the intimate cabaret atmosphere of THE BLACK BOX and this program showcasing a variety of musical styles. Electric Youth's season finale at THE BLACK BOX, offers family entertainment with music for all ages! Backed by an eight-piece band of world-class musicians, EY delivers high-energy music, including pop, classic rock, contemporary, Broadway, swing and country hits. The event is a Bon Voyage Concert for Electric Youth, coming just days before the ensemble departs on June 28th for a three-week concert tour of England, France, Switzerland and Italy. The EY show at THE BLACK BOX will feature fully choreographed performances of The Black Crowes, Michael Bublé, Queen, Stevie Wonder, Colbie Caillat, Carrie Underwood, The Who, Guns N' Roses, and more!